Stephen Daye, a British locksmith, came to what is now Massachusetts in 1638 with the Rev. Jose Glover. Glover intended to become the colony’s first printer, but he died en route, leaving Daye to set up shop in present-day Harvard Square. 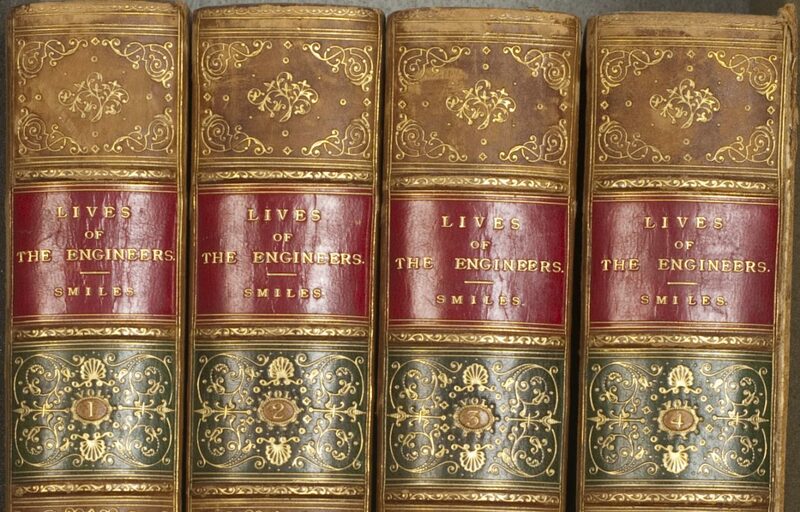 The Bay Psalm Book, printed by Daye in 1640, remains the oldest extant book printed in what is now the United States. Its rarity is legend: only 11 copies survive. Still, the Bay Psalm Book was not the first item to come off Daye’s press. 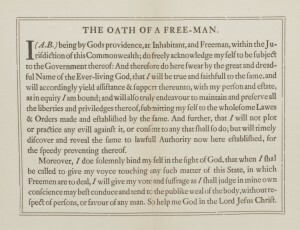 That distinction belongs to The Oath of a Free-Man, a small broadside printed in 1639. 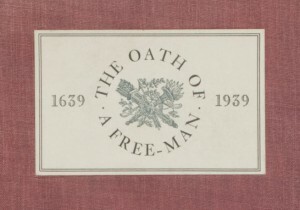 Nor the Southwestern collector, apparently, as it was a Utah man who forged a copy of The Oath in 1985. By that time, Mark Hofmann, one of America’s greatest forgers, had already scammed many major American auction houses and libraries. He had even fooled the country’s best forgery experts. But he had also amassed a significant amount of personal debt. In 1985, he began negotiating the sale of his forged Oath to the Library of Congress, but his asking price of $1.5 million finally proved to be more than the Library could afford. Later that year, in an effort to protect his reputation while negotiating a different sale, Hofmann, ever versatile, killed two people with his homemade bombs. 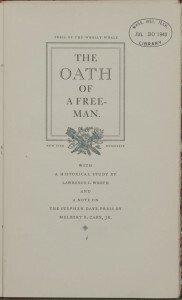 Today Hofmann remains in prison, his greatest forgeries remain to be discovered, and a genuine copy of The Oath of a Free-Man has yet to be found.